It’s a snowflake schema. It is the dimensional model for a book distribution company. The company buys books from publishers, stores them in their warehouses and sells them in their shops. “Line” means product line, i.e. book category such as academic books, fiction books, sport books, etc. DimLine, DimAuthor and DimPublisher are the sub dimensions of DimProduct. DimCity is a sub dimension of DimCustomer. Each sub dimension has a surrogate key. As you can see above, we now have 4 versions of Rainfall in DimProduct. Whenever I asked a DW practitioner which DW methodology he uses Star or Snowflake, the answers almost always have been Star. But when I dig deeper why not snowflake, nobody brings up this fundamental issue: inability to store the history of attributes. I hope this article would make it clearer to DW practitioners. I was very surprised to receive an email this morning from somebody saying that they delete the whole dimension table and insert all rows again, and they use surrogate keys. And they are having problem because the existing rows get new surrogate keys. Whenever I heard “delete all rows in the dim table” a big alarm bell rang in my head. The word “delete” and “dim table” should not be in the same sentence! This is the second time this month I encountered people doing this and I suspect there are many others out there doing the same thing, and having exactly the same problem. So I thought I have to write about this asap. So here it goes. All members get new surrogate keys. G48’s surrogate key changed from 1 to 3. G49’s surrogate key changed from 2 to 4. That is the issue about “And they are having problem because the existing rows get new surrogate keys” that I mentioned at the beginning of this article. The problem with G48’s SK changed from 1 to 3 is: the fact table row for G48 is still referring to SK = 1. Now the fact table SKs don’t match with the dim table SKs, causing issues when you join them. So once again, the word “delete” and “dim table” should not be in the same sentence! BO Voyager is a tool for “browsing” cubes. It can read 3 OLAP cubes: SSAS, Hyperion Essbase, SAP BW (link, page 52). DB2 OLAP (8.2) uses the same provider as Essbase 7 hence Voyager can open DB2 OLAP. Oracle OLAP can only be accessed using Simba MDX provider (link), not native. SAP BW (or BIW) can only be accessed using BO Integration Kit for SAP. The formal name of Voyager today (10/7/12) is “SAP BusinessObjects Analysis, edition for OLAP” (link). The user guide is here, the admin guide is here, the product sheet is here. There are 2 versions of “BO Analysis”, the other one is “edition for Microsoft Office”, which is an Excel plugin (link). This is the new name of Business Explorer Analyzer (link). Voyager has been used for many years (probably more than 7 years) to browse SSAS cube. Now that Excel can browse SSAS cube, the use of Voyager for browsing SSAS cube is a question mark. Tableau and XLCubed have better capability than Voyager. We can’t even create a hyperlink in Voyager. 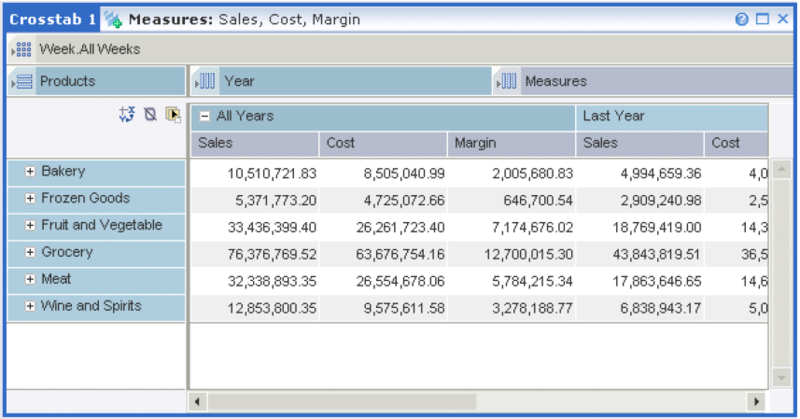 Unlike Tableau, Excel or XLCube however, Voyager can browse Hyperion/Essbase and SAP BW as well. Small companies usually only have 1 OLAP platform. But large corporation like global banks usually have multiple OLAP platforms and this is where Voyager kicks in. Highlight exceptions e.g. make the cell red (or any colour) if the number is bigger or smaller than certain limit. Sort a column or a row, i.e. ascending, descending or hierarchies. Filter a column or a row, i.e. display only top 10, display only where revenue > certain threshold. Useful OLAP functions: Prior period, period to date, moving average, rank. No. In my opinion, Voyager is a last generation product. It feels like ProClarity to me. It needs a lot of investment to beat modern BI products such as Tableau, XLCubed, Qlikview, Roambi and Spotfire. It provides basic functionality to explore Essbase & SSAS cubes, but nothing more. If this was 2006, Voyager would have a chance. But in 2012 where the BI tools have grown strong in competition, there’s no chance. SAP is a giant corporation with good R&D. I admire Hana, which is a modern (even future) platform, i.e. 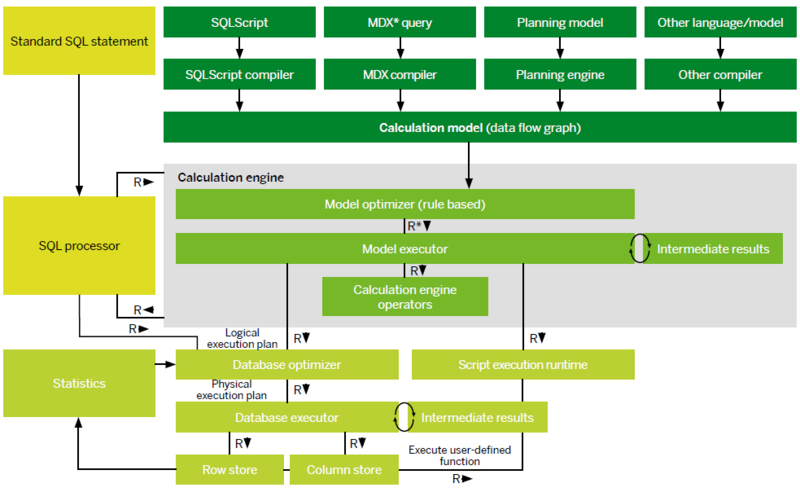 in-memory database & analytics. I wrote an article about Hana (link). I also admire BO Webi, which in my opinion is the best in its class i.e. dynamic reporting. BO functionality is a lot richer than SSRS Report Builder. But I don’t admire Voyager. I believe SAP has the capacity to improve it, which is why I took the time to write the 11 points above. It needs good investment to match today’s standards. SAP is one of the top 4 giants in BI, along with Oracle, Microsoft, SAS and IBM (link). SAP has the financial & technical capability to refurbish Voyager to be one of the best analytic tools. Sometimes when we process the cube we get an error message: duplicate attribute key. And at other times we get: missing attribute key. In this article I will try to address these 2 issues. Do you use surrogate key instead of business key? Is there a duplicate business key in the dimension table? In the data warehouse, to link the fact tables to the dim tables we must use surrogate keys. We must not use business key to connect fact table to dim table. But time and time again I have seen people not reading Kimball and Caserta’s book thoroughly and try to build a data warehouse quickly. They use the business key to connect the fact and dim. It is easier to understand if I use an example, so I’ll use income fact table as an example. The reason we have 2 rows for WorkId 781 is because DimWork is SCD type 2. And SSAS will sum the two 140 up into 280. 2. Is there a duplicate business key in the dimension table? The second reason of experiencing “duplicate attribute key” in SSAS is because there is a duplicate business key in the dimension table. The ETL consider these 2 rows as two different customers and allocate different surrogate key in the customer dimension. If you use business key as the key in SSAS dimension, SSAS will say that there is a duplicate attribute key in the customer dimension, i.e. there are two rows with CustomerId = ‘GA34’. This is because SSAS trim the attribute key. Of course you can suppress the issue using custom configuration (in the property of the dimension), but this is hiding the issue and making the front end (say Tableau or Strategy Companion Analyser) returning incorrect data to the users. This issue will not occur by the way, if you use surrogate key. It will only occur if you use the business key as the key of the dimension in SSAS. The second error, missing attribute key, means that there is a surrogate key in the fact table which does not exist in the dimension table. We can isolate the fact row that gives the error message by looking at the details of the error message that SSAS gives us when we process the cube. The value of the key is given in the message. We can then query the dim table to check if the dim table has a row with that SK. A possible reason why the SK exists in the fact table but not in the dim table is because of a mistake on the ETL task that populates the fact table. The ETL task can be SSIS workflow or Informatica session/mapping, but it is the same principle: the part of the workflow or mapping that does the lookup failed. This is either because the Lookup Transform didn’t use the correct Business Key, or because the Lookup Transform didn’t look at the correct column. There is another possibility if it is a type 2 dim: the Lookup Transform didn’t get the correct version, i.e. part of lookup logic that examines the EffectiveDate and ExpiryDate (or ValidToDate and ValidFromDate) is not working properly. 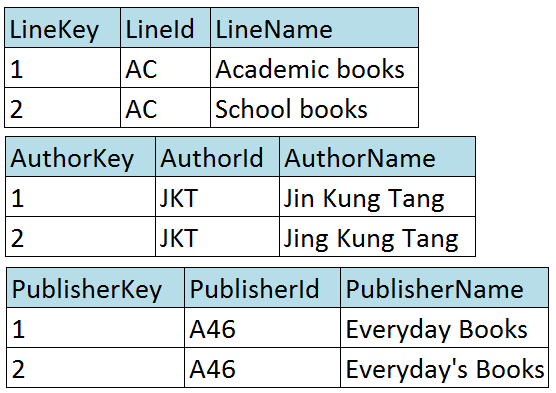 Those are the various possibilities of why we could have “duplicate attribute key” and “missing attribute key” in SSAS cube. Hana is an in-memory database from SAP. It enables us to do lightning OLAP analytics from relational databases. We can access Hana data using SQL, MDX or from BO. Or from Cognos, Report Builder and PowerPivot. We can create calculated attributes and measures. We can create our own data model and hierarchies. A must read technical introduction from SAP is here, the official web site home page is here, and the technical operation manual is here, the data modelling manual is here (very bad, no screenshots at all) and the Wikipedia page is here. HANA stands for HAsso’s New Architecture. Hasso Plattner is a cofounder of SAP. HANA also stands for High performance ANalytic Appliance. Hana is also a name, rather than acronym. Actually Hana is not just an in-memory database. It is also an analytics appliance. Cisco provides a Hana appliance on Intel Xeon 7500 (link). HP provides a Hana appliance on ProLiant DL580 and DL980 (link). IBM provides a Hana appliance on x3690 X5 and x3950 X5 (link). Violin provides a Hana appliance on Intel Xeon 5600 (link). HANA is also a cloud application. It is a PaaS, Platform as a Service. EMC and Cisco provides a Hana could app on Cisco UCS and EMC VNX 5300 (link). Hana was released in Nov 2010. Version 3 was Nov 2011, and version 4 will be in Q2 2012. Hana has a parallel calculation engine. Hana takes in a SQL query and run the query in parallel across many partitioned data sections in memory, and across many multicore processors. Hana also has business functions to speed up calculations, for example currency conversion and calendar functions, as well as predictive analysis library. Hana database is both row based and column based. If a calculation involved only a few columns, the data columns are stored in columnar store (compressed) in memory. Hana also support temporal tables which speed up queries for historical data. The key to Hana speed is the first sentence I wrote above: in-memory database. Memory is 1000 times faster than disk, and these days we can have a server with 2 TB of memory. But that is the story of the past. Everybody now store in memory. What Hana has that the crowd doesn’t is the technique to load data from memory into CPU cache. To partition a query and data, and load them into different CPU cache so that each CPU can process them in parallel. That’s what differentiates Hana from the others. How do we use Hana? What can we use it for? Using Hana, we don’t have to create summary tables in the data warehouse. This removes the basic need for a data warehouse. We need a DW to aggregate data fast. Now we can do it using Hana. This also eliminates the need for having OLAP cubes. We use OLAP cubes such as SSAS to aggregate the data fast. Now we can do it using Hana. Still need a SQL interface though, which is a no go-er from the start. Who wants to type in the SQL queries? Definitely not the business users! Hence we need a BI tool, such as BO Universe, Cognos, SSRS Report Builder and PowerPivot. The major weakness of BO Universe, RS Report Builder, Cognos and other flexible reporting technology when operating on a DW is that it is slow. Because the DW is disk based. Now that we have Hana, an in-memory database which is both row-based and columnar (and temporal! ), these flexible reporting tool will be incredibly fast. In data warehousing, we can use Hadoop as staging area. Or we can use it for the main data store with SQL query (using Hive). We can also use Hadoop to backup the data warehouse. I do not think that in point b) above, Hadoop will be able to replace relational databases in the main stream. In some cases where it is a huge table with specific query, yes. For for analysing big data, yes. But not for everything / general storage. Both SMP and MPP RDBMS such as Oracle, SQL Server, DB/2, Teradata & Netezza will still be used as the main store of data warehouses. Of course columnar DB will still be an important part of data warehousing, be it Hadoop based (e.g. HBase) or not. I agree with Ralph Kimball (link) and Amr Awadallah and Dan Graham from Cloudera and Teradata (link) that Hadoop and RDBMS will co-exist in data warehousing and they will complement each other. Hadoop is particularly suitable in big data analytics, for example the use cases that Ralph Kimball wrote in his article (link). Unlike RDBMS, Hadoop can not do transaction processing. Hadoop only support primitive SQL, through Hive. The main advantages of Hadoop over RDBMS are: a) excellent speed for searching data, and b) we don’t need to structure the data. I still can’t understand/accept this paradigm shift. How come we don’t need data modelling anymore? MapReduce is a method for processing large data by splitting the data into smaller parts and giving the parts into many nodes. Each nodes process the data independently in parallel, then give the results back to the node which gave the task, which will then combine the results. If we use HDFS (see below), the higher nodes know what data the lower nodes have. This way, the amount of traffic is greatly reduced, because the lower nodes only receive the data suitable for them. 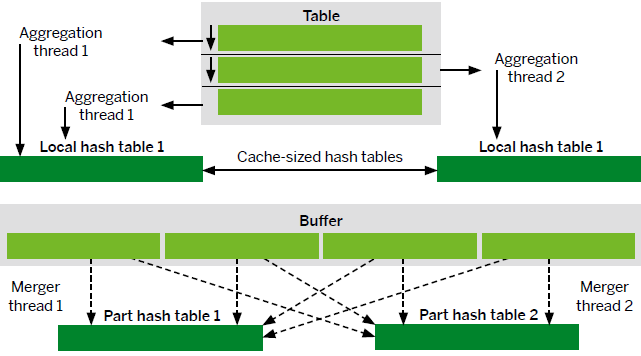 MapReduce method does to data files what MPP and Teradata did in databases: parallel computing. A primer on MapReduce is here, here and here. Apache Hadoop is the most popular implementation of MapReduce. It is open source, built by global community. Hadoop Distributed File System (HDFS) stores large files across multiple machines. HDFS has high reliability because the data is stored in 3 copies (or 4, or 2, but 3 the default setting). It is written in Java and it uses TCP/IP and RPC. HDFS does not have high availability, because the main node does not have automatic failover. It can only do manual failover. Apart from HDFS, Hadoop can also use Amazon S3 file system (and other file systems too). There are 3 main architectures of data warehousing using Hadoop: we can put Hadoop before or after the RDBMS in the data warehouse architecture (see A and B below). We can also put Hadoop in parallel to the RDBMS, i.e. big data goes to Hadoop, and “small data” goes to RDBMS (see C below), as mentioned by Amr Awadallah and Dan Graham in their article (link). See below for definition of small data and big data. Please note that Ralph Kimball’s diagrams in his article (link, figure 4) are for “big data” sources, whereas architecture A & B above are for “small data” sources. In architecture A above, Hadoop is used for staging area. In contrast to the normal file system or relational staging area, using Hadoop we keep all the past dates data as well. Apart from historical data, the main advantages of using Hadoop for staging area are the speed and capacity. Then we use tools like Cloudera Scoop to import data from Hadoop into RDBMS. In the RDBMS we build dimensional DW e.g. fact & dim tables. We don’t need to build 3NF EDW (or in my book, I call it NDW) to keep the historical data in normalised form. We keep the historical data in Hadoop. 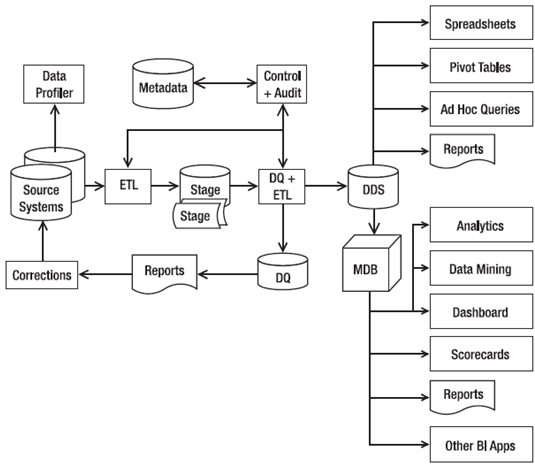 This architecture (A) is similar to using Data Vault for data warehousing, but different. When we use Data Vault, we use it for EDW. When we use Hadoop, we use it for staging. When we use Data Vault, we do data modelling in Data Vault to build the EDW (not 3NF but Data Vault style, i.e. designing hub, link, satellite. When we use Hadoop, we don’t do data modelling. We store the data in its native data model, we don’t remodel it. In architecture B above, Hadoop is used for backup. I have to say that it’s probably over the top if we use Hadoop just for data backup. It’s very fast and it’s resilient too (see HDFS above), because it’s a distributed file system working independently in parallel. But there are 30 other distributed, fault-tolerant file systems (see here) that can be used for the same purpose, instead of Hadoop. 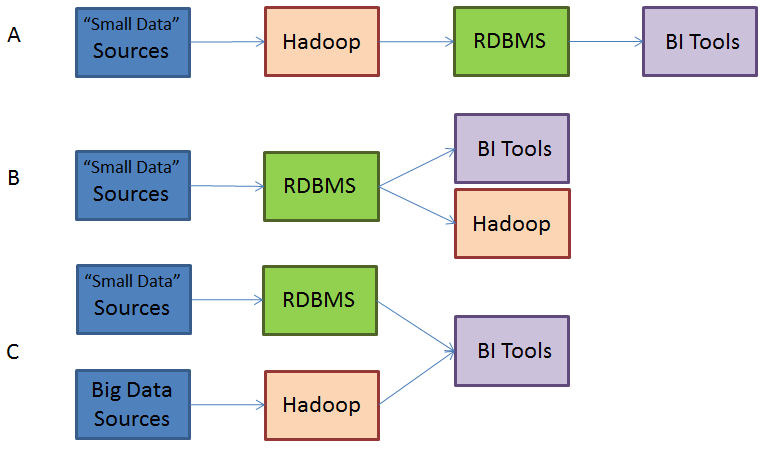 In architecture C, we use Hadoop for big data, and RDBMS for “small data”. I think in the next few years the BI tools for big data will develop further and better. But yes, the combining of small and big data is done in the BI tool, not in the back end. It is of course possible to combine them in the back end, either in the RDBMS or in Hadoop, but there are advantages & disadvantages of each of these 3 different places where the combination takes place. I do not see the benefit of using Hadoop for “small data” and can see many disadvantages in doing so: the data types, the ETL difficulties/inflexibility, data consistency (state/ACID), lack of SQL ability. Hence for “small data” I don’t think anyone would argue that we need to use RDBMS, be it SMP, MPP or columnar. But, for big data, I don’t think anyone would argue that we need to use Hadoop. Please see below for definition of small and big data. I believe that most data warehouses on the planet are about “small data”. Only very few are about big data. If I have to put a number on it (so that you have an idea of how much), I would say that 95% of all data warehouses are about “small data”. And therefore this is section is focusing on using Hadoop for “Small Data” data warehousing. So in Small Data DW we use Hadoop in A and B architecture above, i.e. as staging area or as backup storage. We don’t use Hadoop for Small Data DW. We still use RDBMS for Small Data DW. If you see it differently I’m happy to be corrected. What is Small Data? Big Data? So in DW, we will be using Hadoop for big data (complex data structures). But for small data (simple data structures) we will still be using RDBMS. For simple data structures exceeding 1 PB, MPP will still cater for them, but for some cases we need to use Hadoop (if we need more performance than MPP, or if it is more than 10 PB). Hadoop and RDBMS (including columnar and MPP) will be side by side in DW. RDBMS will still be used in majority of DW to store simple data structures up to a few PBs. Beyond 10 PB (simple structure) we probably need to use Hadoop. But for complex data structures, Hadoop is the right tool to process them. Big data: images/photos/video/music streams (and as files too), unstructured text (documents, emails), web site log files, outputs (streams) from scientific/industrial instruments and sensors such as thermometers, digital pneumatic/pressure gauges. Big data: A collection of simple data structures of more than 1 petabytes. I hope this gives a bit of understanding to those of you who are new to the subject. And for the Hadoop, DW and big data experts out there, I would appreciate your opinions and advice.